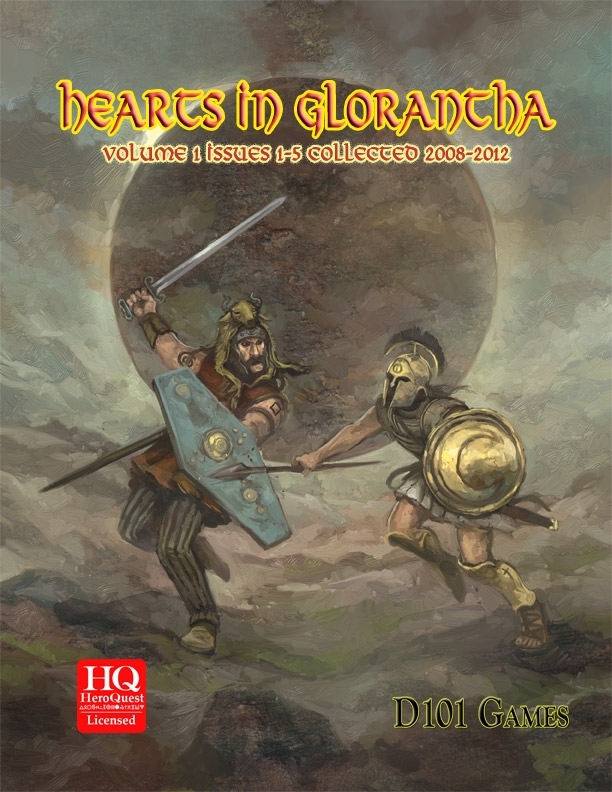 Our 10th Anniversary Issue, featuring 48 pages of Myths, Articles, and Scenarios (13th Age in Glorantha and for RuneQuest 2) in softcover A4 format. Our 10th Anniversary Issue, featuring 48 pages of Myths, Articles, and Scenarios (13th Age Glorantha and for RuneQuest 2) in softcover A4 format. Pavis Boxing Association A RQ3 Hero Cult by Leon Kirshtein. How A Rubble Runner Destroyed the Crimson Bat at The Battle of Iceland. A short tale by Lev Lafayette and Erica Hoehn. Strange Broos. A very strange RuneQuest Classic encounter with scenario seeds by Scott Crowder. Boatduck’s Lunch. Stewart Stansfield details what’s on the Duck menu. Snipbeak. 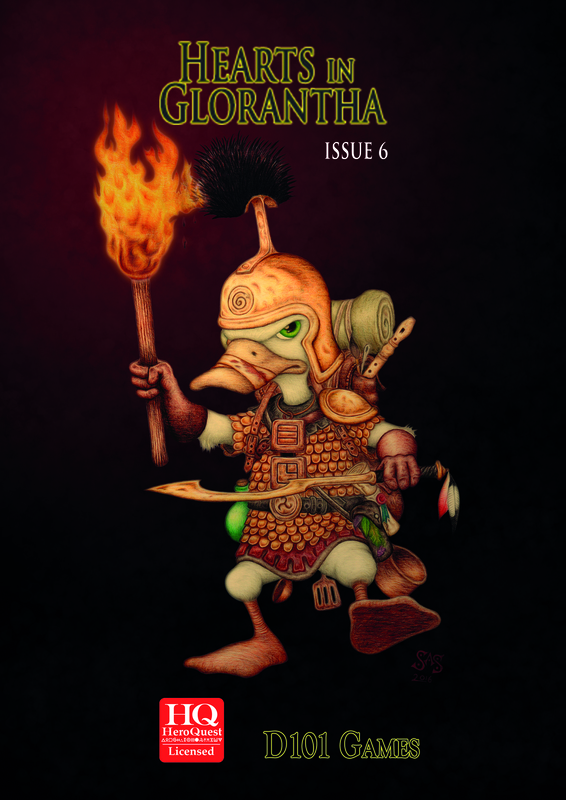 A Duck with Lunar sympathies for RuneQuest Glorantha by Stewart Stansfield. Who Gets to Speak. Ian Cooper, Line Editor for HeroQuest, talks about what makes HeroQuest so unique among role-playing games. Orlanth, Heler and the Dragon. An Orlanthi Myth told by Stuart Mousir-Harrison. The Beard of Lhankor Mhy. 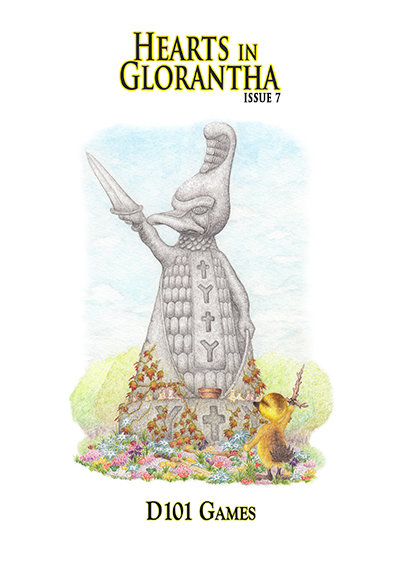 An adventure for 13th Age Glorantha by Guy Milner. Heroic Tales. Two scenario seeds, each with three possibilities, by Newt Newport. The Temple of the Golden Gorp. 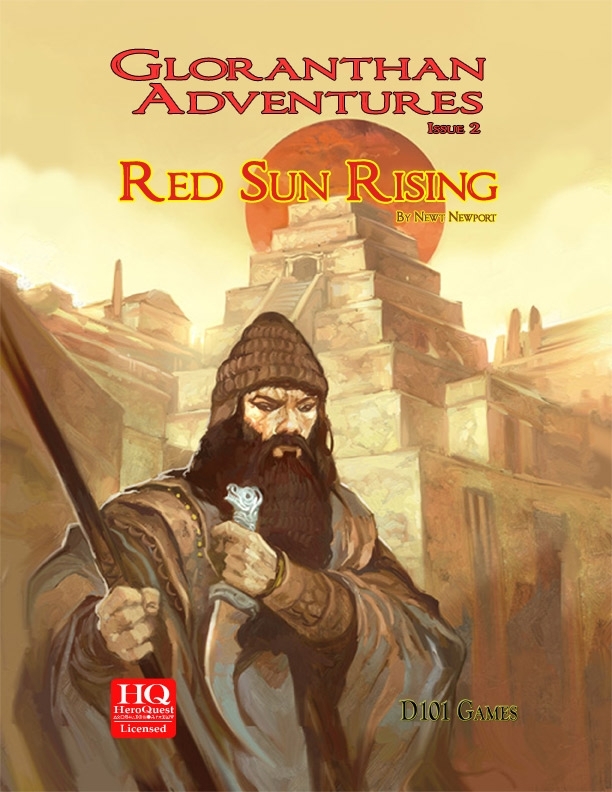 A Short Adventure for RuneQuest Classic by Newt Newport.